If a drunk driver in Illinois injures you, you may have recourse not only against the driver and his or her insurance but also against the business that sold him or her liquor. A commercial establishment may have dram shop liability for a drunk driver's actions under the state's Liquor Control Act. This law is crucial because in some cases, drunk drivers have insufficient insurance coverage for catastrophic injuries, particularly if there are multiple victims. If you were struck by a drunk driver, the Chicago car accident lawyers at Moll Law Group are available to pursue a claim for compensation from the drunk driver as well as from the business that served the driver. 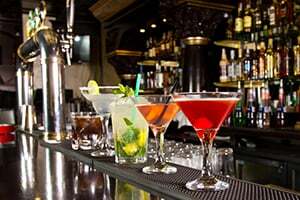 Section 6-21 of the Liquor Control Act of 1934 provides that accident victims can sue owners of businesses that sold liquor to a drunk driver, as well as owners or lessors of the premises where the liquor was sold. The accident victim can sue for their physical injuries, damage to tangible property, or injury to means of support or loss of society. To bring a dram shop action, you will need to prove that the intoxication at issue was caused by consuming liquor provided by the defendant, that the injury, property damage, or loss of means of support or loss of society was caused by the drunk person, that the business was the legal cause of the intoxication, and that the intoxication was a material factor in your injuries or the death at issue. Unlike in some other states, there is no requirement that the commercial establishment had reason to know the person was already intoxicated. In some cases, multiple sellers may be held responsible for a single episode of drunkenness that results in injuries. For example, if a drunk driver drank three beers purchased at one restaurant, drank another four cocktails at a bar, and then crashed into a family driving home for the night, both the restaurant and the bar may be held liable for the family members' injuries or deaths. However, there are limits in place as to compensation awards, and the limits will apply to all the businesses as a group. Originally, recovery was limited to $15,000 for personal injuries and property damage and $20,000 for loss of support. However, an amendment to the law raised the limits, and the amount is now adjusted for inflation. New limits are posted each January. Illinois has rules related to which types of compensation are recoverable and how they are classified (as either personal injury damages, property damage, or loss of support damages). For example, medical expenses are personal injury damages, except when the injured person is a minor whose parent was obligated to pay the medical expenses, in which case the medical expenses are property damage. If you or your loved ones were injured by a drunk driver, the Chicago attorneys at Moll Law Group are available to investigate whether there may be grounds for dram shop liability and represent you in your lawsuit if suitable grounds exist. We are committed to helping victims in Naperville, Wheaton, Schaumburg, and communities throughout Cook County. Billions of dollars have been recovered in cases in which our firm has been involved. Contact us online or call us at 312-462-1700 to set up a free consultation with a motor vehicle collision attorney.